Tom Ajamie is an internationally-recognized trial lawyer who has successfully represented clients in complex commercial litigation and arbitration. The authoritative Chambers USA has described Tom as "a stupendous litigator with a winning attitude and work ethic." He has handled a number of high-profile cases, including representing companies, pension funds and shareholders seeking to recover losses in stock fraud cases, and corporations and officers and directors being sued in securities matters. He has won two of the largest awards ever handed down by an arbitration panel for investors, including a $429.5 million award. He has also won a record $112 million civil RICO jury verdict. Tom is regularly invited to give legal analysis by news media outlets including ABC, CNN, CNBC, NPR and BBC, and his work has been featured in publications such as The Wall Street Journal, The New York Times and The American Lawyer. 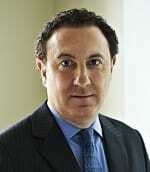 He is listed in Best Lawyers of America, Chambers USA, Lawdragon 500, and is named a Benchmark Litigation Star. He is the co-author of the book Financial Serial Killers: Inside the World of Wall Street Money Hustlers, Swindlers, and Con Men. His work on behalf of investors in the Bre-X gold scandal is featured in the book Fools’ Gold: the Making of a Global Market Fraud, by Brian Hutchinson.